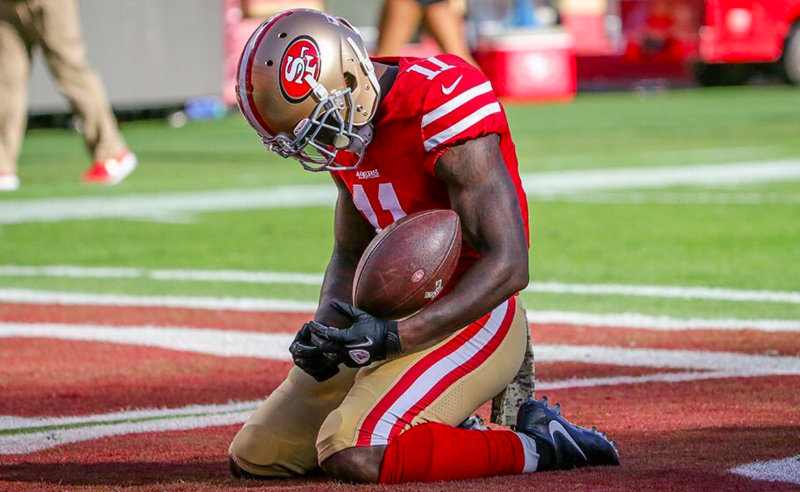 San Francisco 49ers wide receiver Marquise Goodwin is the winner of the George Halas Award from the Pro Football Writers of America. Given to the NFL player who best overcomes adversity to succeed, the PFWA made the announcement on Wednesday. Marquise and his wife Morgan lost their infant son back in November due to complications that led to a premature delivery. 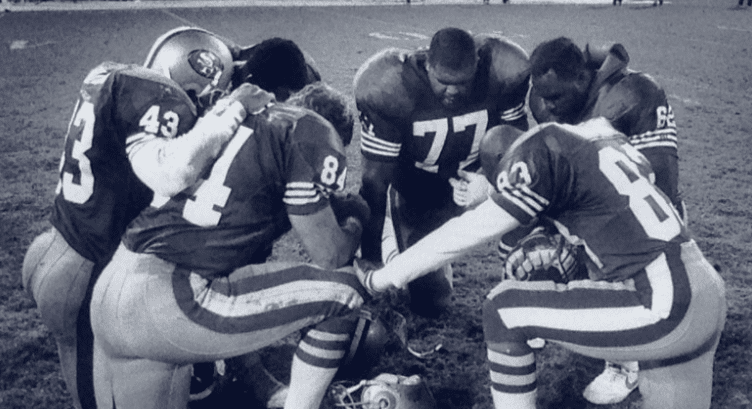 Hours after experiencing this incredibly traumatic moment, Goodwin suited up against the New York Giants and proceeded to catch an 83-yard touchdown and help the 49ers to a victory. In December, he would again experience personal loss with the passing of his biological father. 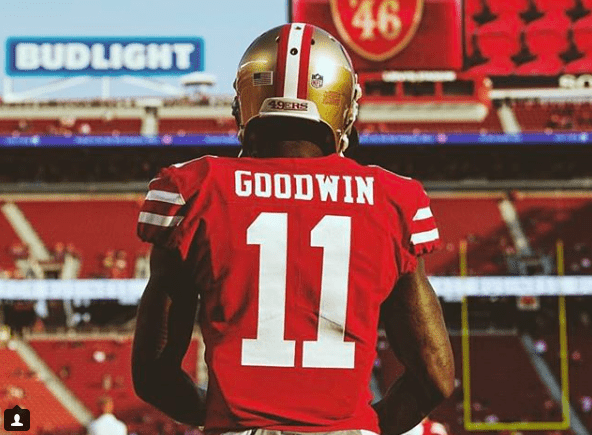 Just days later, in Week 15 against the Titans, Goodwin would register a season-high 10 receptions for 114 yards. Goodwin is the 50th recipient of the Halas Award. He’s also the fifth member of the 49ers franchise to receive the honor from the PFWA, joining defensive back Jimmy Johnson (1972), quarterback Joe Montana (1988, 1994), defensive tackle Bryant Young (2000) and running back Garrison Hearst (2002). Did you thank God today? If not, it’s not too late.